Luciana Fina has worked in Lisbon since 1991. 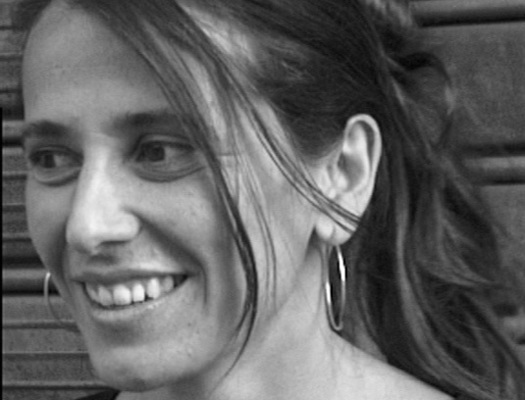 Following a long collaboration with Cinemateca Portuguesa as an independent programmer, she made her debut as a filmmaker in 1998. Since then she has developed a practice that frequently migrates from the cinema to the exhibition space, as she explores the possibilities and potential of film within the sphere of the arts. In 2003, she began a series of video portraits that came together in the O Tempo de um Retrato [Time for a Portrait] project. Her work has been shown internationally at festivals and exhibitions. Her most recent documentary, “In Medias Res” [In the Midst of Things], was awarded an Honourable Mention at the Temps d’Images Films on Art Award and the Best Portuguese Film Prize at the Arquiteturas Film Festival. In 2016 she presents a new installation work, the diptych TERCEIRO ANDAR, at Doclisboa ‘16, section Passages, Museu Calouste Gulbenkian, and she presents once again her first installation, CHANTportraits (2003), at Casa das Artes, Famalicão, and at Festival Temps d’Images, Lisbon. The film premiere of TERCEIRO ANDAR was at Doclisboa'16, official selection in the portuguese competition.